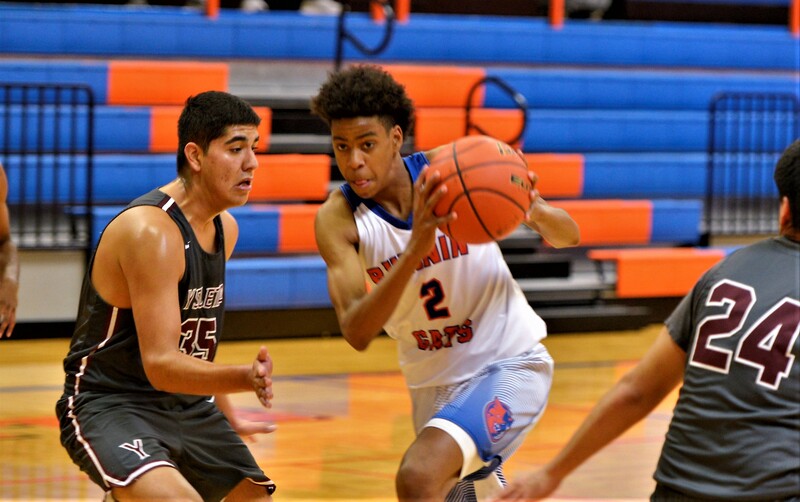 SAN ANGELO, TX-- The Central Bobcats took on the Brandies Broncos at Lake View's Ben Norton Gym for third place in the Doug McCutchen tournament. Central ended up falling to the Broncos 62-70. The game was neck and neck through the start of the first quarter. Brandies started to pull away though when they made a borage of three pointers. Brandies also got into a press in the middle of the first, which made it tough for Central to get a lot going offensively. At the the end of the first quarter, the score was 25-15. In the second quarter the Bobcat defense played great only giving up nine points and five of which came from the free throw line. Deveraux Minix played a great quarter with nine points after not scoring in the first. One of the points by Minix was a three pointer from nearly half court at the buzzer. At the half the score was 34-29. The start of the third did not bode well for Central's offense as they didn’t score their first basket until the 3:30 mark. Minix hit a three pointer that started a 9-3 run at the close of the quarter to close the gap, but at the end of the third the score was 46-39. The fourth quarter was very competitive as both teams ended up scoring 23 points. Michael Bonner had 10 points in the quarter, but unfortunately they ended up losing the game 62-70. Minix ended the game with 20 points for the Bobcats. Jordan Wood finished with 17 points and multiple blocks for the Broncos. The Lake View Chiefs opened tournament play today with a loss to El Paso Chapin in the Bronze Bracket.